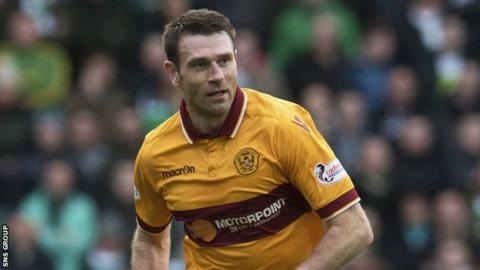 Motherwell defender Stephen McManus will be out of action for at least six weeks with a groin injury. The 34-year-old sustained the damage in the opening minutes of Saturday's 2-0 at Celtic. The former Scotland international, who has been an ever-present for Motherwell this season, will undergo surgery next week. Motherwell are currently 10th in the Premiership, three points above the play-off spot. Mark McGhee's side are at home to Dundee on Saturday and a win would move them level on points with the sixth-placed visitors. Meanwhile, Motherwell have added to their backroom staff, with the return of Steve Robinson as first-team coach. The 42-year-old was sacked by English League One side Oldham last month after six months as manager. He first joined Motherwell in February 2015, serving under Ian Baraclough and McGhee, before leaving Fir Park for Boundary Park in July.